Purchasing a work of art can be a significant decision. 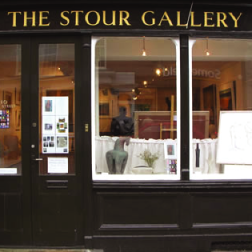 At The Stour Gallery we understand that it is sometimes difficult to make that commitment in one go which is why we offer an interest free Credit Scheme. If you would like to discuss this option then please don't hesitate to get in touch with us on 01608 664411. We also offer Gift Vouchers. Choosing a piece of art is a very personal decision so if you know someone who would love to own a new piece of artwork but want to leave the choice to them then our Gift Vouchers make a perfect present. You can drop in to The Gallery or call us on 01608 664411 for further information.